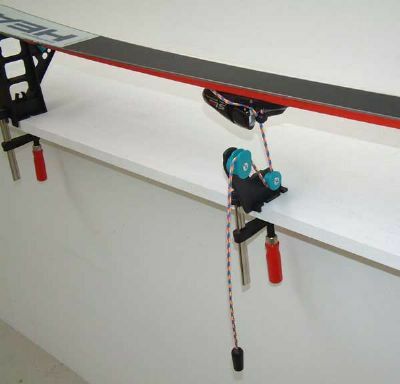 Practical U-shaped tool to hold ski brake out of the way for edge tuning. 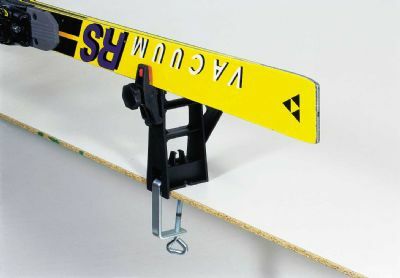 Fast, easy and safe. 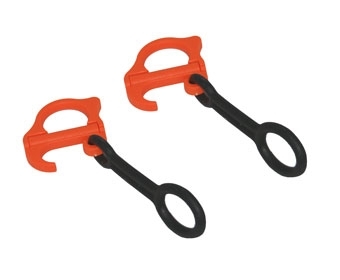 Brake retainer folds out of the way so it is not knocked off while tuning. 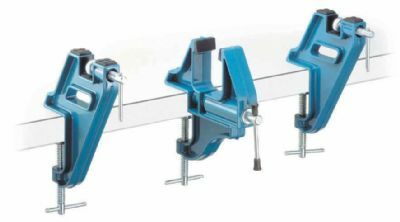 These vertical clampsattach to the MT3402 Profi vise or the MT3406 Econo vise to add the vertical clamping feature to these vises. 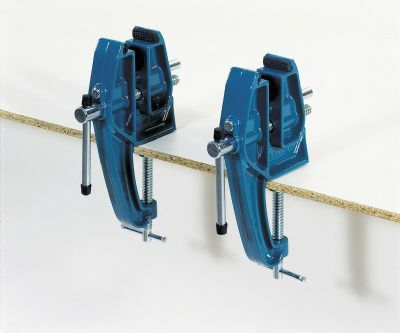 Pair of rubber straps used on Econo vise. 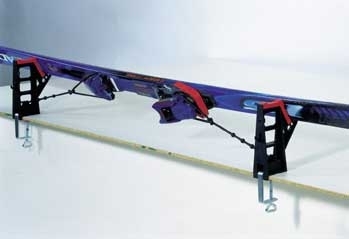 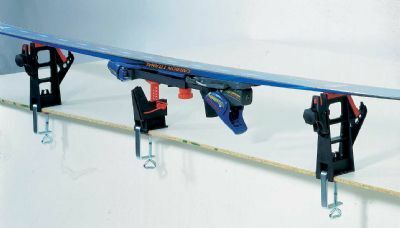 For older Profi vises and the Econo ski vise to give necessary clearance for skis equipped with binding risers. 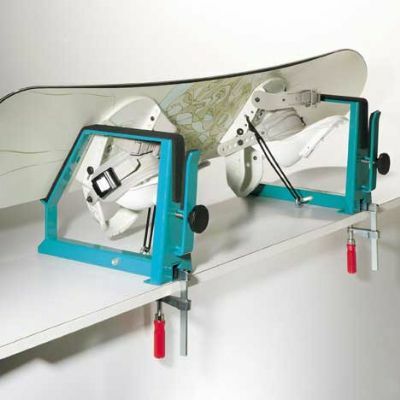 The adjustable sole of the Profi Vise is an ideal brake retainer for repair shops and helpful to hold skis with round sidewalls in any clamp type vise. 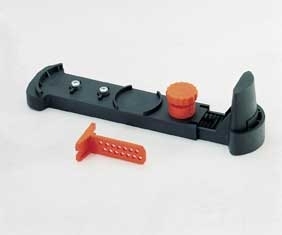 Vise allows edge and base to be fully exposed for unobstructed access. 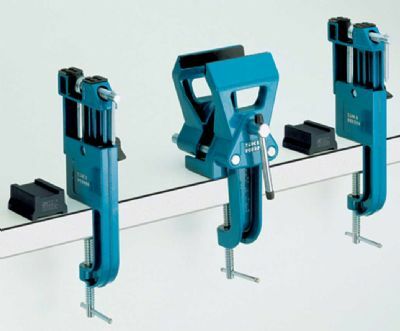 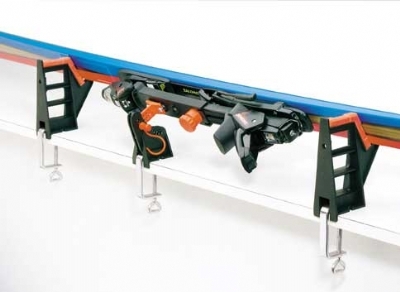 Flat or 45 � and vertical working positions for optimum tuning.